Mindfulness-Oriented Recovery Enhancement for Addiction, Stress, and Pain - Eric L. Garland, Ph.D. 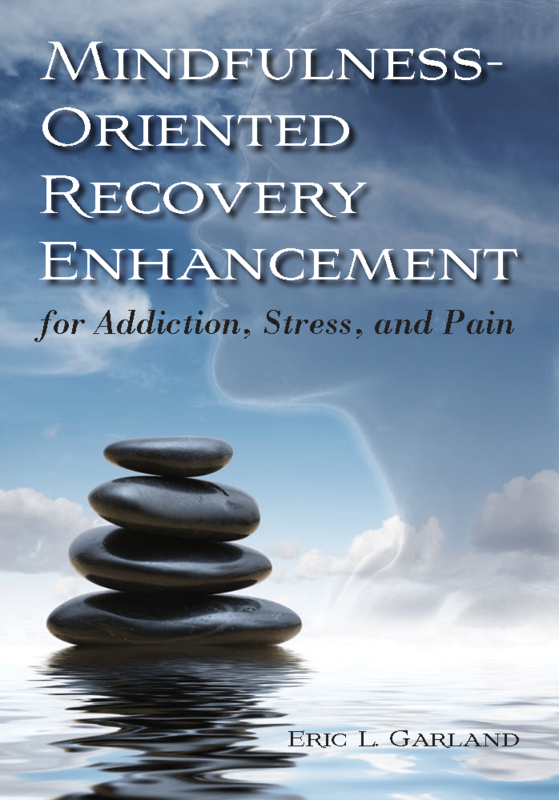 I am pleased to anno unce the publication of my new book, Mindfulness-Oriented Recovery Enhancement for Addiction, Stress, and Pain, by NASW Press. This book is a treatment manual that describes the step-by-step implementation of Mindfulness-Oriented Recovery Enhancement (MORE), as well as the theoretical framework and growing evidence base underlying this new form of therapy. “Human existence can be beset by a variety of negative mental states such that life seems devoid of meaning, but it can also be liberated—a meaningful life reclaimed and savored through cultivation of a higher kind of mind. This quality, mindfulness, refers to both a set of contemplative practices and certain distinct psychological states and traits, and it can be cultivated through intentional effort and training. In Mindfulness-Oriented Recovery Enhancement for Addiction, Stress, and Pain, Eric L. Garland presents an innovative program of intervention that can be put into practice by therapists working with people struggling with addiction and the conditions that underlie it. Unlike other substance abuse treatment modalities, which focus largely on relapse prevention, Mindfulness-Oriented Recovery Enhancement (MORE) concentrates on helping people to recover a sense of meaning and fulfillment in everyday life, embracing its pleasures and pain without avoiding challenges by turning to substance use. Along with chapters on the bipsychosocial model underlying MORE and the current state of research on mindfulness, this book includes a complete treatment manual laying out for clinicians, step by step, how to run MORE groups—including adaptations to address chronic pain and prescription opioid misuse—and enhance the holistic recovery process for people striving to overcome addiction.